The Sequestration Is Here ... Now What? A GOP lawmaker is trying to help federal agencies avoid employee furloughs during the sequester. 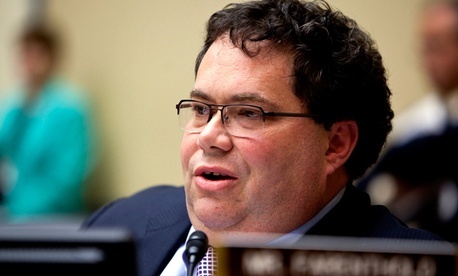 Rep. Blake Farenthold, R-Texas, this week introduced legislation that would require the Office of Management and Budget to report to Congress on how to most efficiently transfer funds within agencies this fiscal year to avoid furloughs and layoffs of civilian workers. Many agencies have said they will have to put workers on unpaid leave ranging from a few days to 22 days during fiscal 2013 to meet the spending cuts mandated by the sequester. It is unlikely that any department will impose reductions-in-force as a result of sequestration because they are expensive. A furlough lasting more than 22 days is considered a layoff. OMB has directed agencies to use furloughs as a last resort during the sequester, but some already have sent furlough notices to employees. If enacted, OMB would have to submit a report to Congress within 30 days.